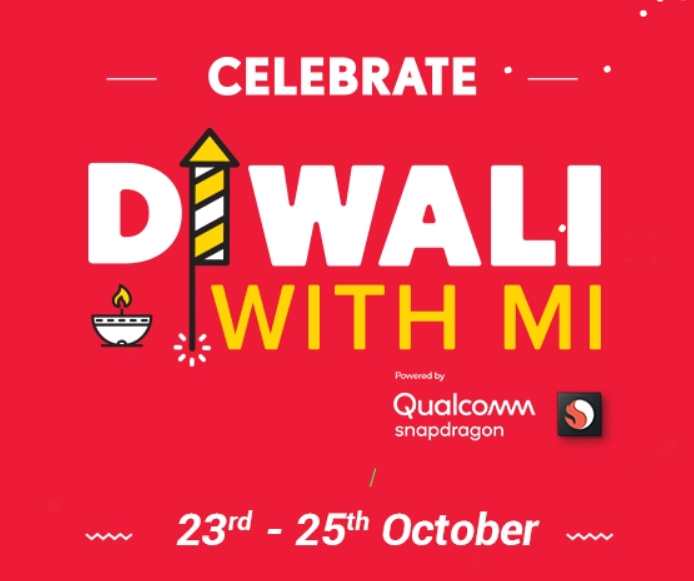 (Live) Mi Rs 1 Diwali Sale: Grab Mi TV, Redmi Note 5 Pro & More at ₹1 Only [23rd-25th Oct]!! – Hey, buddy!! Hope you are Enjoying our Free Recharge Tricks, Shopping Deals which we post regularly. We are today here with Bang News, Xiaomi is back with Rs 1 Flash Sale on the occasion of Diwali Festival. As always, they are here with couple of events including Re 1 flash sale. For 3 Days, they are going to have lots of events whose in-depth details you can get it here. You can grab Mi Rs 1 Flash Sale tricks and scripts here. In the Mi Rs 1 Flash Sale of “Diwali with Mi”, you can grab POCO F1, Redmi Note 5 Pro, Mi A2 and other accessories at Re 1 only. There are many other events too. So let’s checkout the details. 1.1.1.1 How to Grab Discount Coupons? 1.1.2.2 How to Grab Products in Mi Rs 1 Flash Sale? 1.1.3.2 How to Grab Products in Mi Diwali 2018 Small = Big Flash Sale? Update: In last sale (Mi Christmas 2017 Sale), One of the Readers was able to Grab a product in Rs 1 Flash Sale. Proof Added below!! One more reader Won Mi Max 2 Smartphone worth Rs 17,000 by playing The Big Chase Game. Proof Added below. If you are using Smartphone then make sure to Download MI Store App. You won’t be able to participate through any other Browser in Mobile. Specially on the occasion of Diwali, Xiaomi is organizing a Special Event Sale wherein users can grab Amazing products at Rs 1 Only, Win Coupons, Products and Much more. You can grab a Smartphones at Rs 1 only so let’s check out event details. So let’s see each event one by one. Time: At 10 AM every day from 23rd to 25th Oct 2018. How to Grab Discount Coupons? Make sure you log in to Mi Account. Scroll Down to Grab Coupons section. Now exact at 10 AM Daily in Event Days, you will see Grab Button available on Coupons, just click on it. That’s it. Instantly your Grabbed Coupons will be Added to your Mi Account. You can use it to buy any Accessories from Mi India Website. Time: At 4 PM every day from 23rd to 25th Oct 2018. 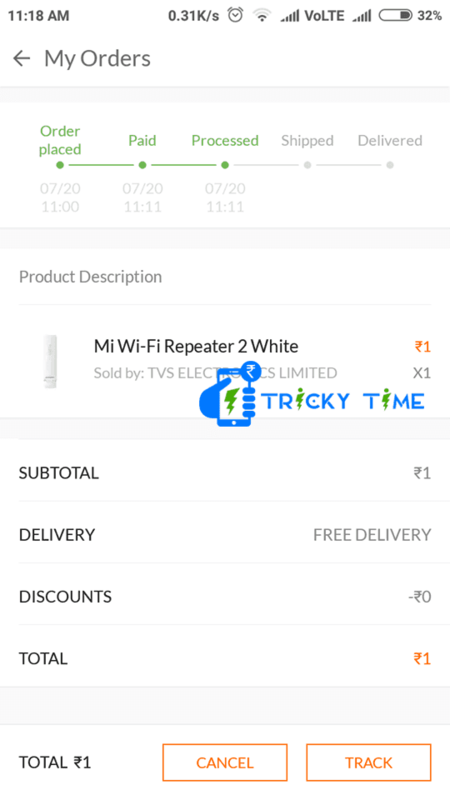 How to Grab Products in Mi Rs 1 Flash Sale? Scroll Down to Mi Rs 1 Flash Sale Section. Be Present Sharp at 4 PM on the Event Days to Successfully Grab Mi Rs 1 Flash Sale. At 4 PM, you will be able to see Grab or Buy Now Button on Things available. Click on it ASAP and it will be added to cart. Then check out and pay Re 1 Amount through Credit/Debit Card or other payment methods. That’s it. This way you can grab or Buy Redmi Note 5 Pro, MI TV 4, etc at just Rs 1 through Mi Rs 1 Flash Sale. Note: We will try to Add Script of Mi Rs 1 Flash Sale to Easily & Successfully Buy Phones at Rs 1 in Mi Rs 1 Flash Sale. We will also try to search for Trick to Grab in easily in Mi Rs 4 Flash Sale. Stay Tuned!! Guys, if you too got anything then you can share the about it in the Comments below!! Thank you! In the event days, there will also be the flash sale of other Mi accessories at Discounted Prizes. Check all those details on Mi 4th Anniversary Event Page. Time: At 6 PM every day from 23rd to 25th Oct 2018. This is a new type of concept wherein you can grab combo of products at real high discount price. Again, this is going to be through a flash sale and hence the quantity will be limited. Check details below. How to Grab Products in Mi Diwali 2018 Small = Big Flash Sale? Scroll Down to Mi Small = Big Flash Sale Section. Be Present Sharp at 6 PM on the Event Days to Successfully Grab Mi Products Combo at High Discount Price. At 6 PM, you will be able to see Grab or Buy Now Button on Things available. Click on it ASAP and it will be added to cart. Then check out and pay the combo Amount through Credit/Debit Card or other payment methods. That’s it. Enjoy the Products at High Discount! So champ, this was all about Special Events which will be part of Mi Diwali 2018 Flash Sale. We will bring up Mi Rs 1 Flash Sale Script Trick so stay tuned. Share this Detailed Guide with your Friends and Family who love Xiaomi Brand. If you have any queries or doubts, just comment below and we will be happy to assist you. Thank you!! Keep retrying. Keep Playing, you may get it anytime, who knows!! I am unable to get the last block, if I get 12 boxes then also it keep coming the one which has been already filled, is there any trick? I am unable to fill the last block, is there any trick for it? There’s no trick. Just keep playing and try to score high and 1st place. Your winning chances may increase. Do you have script to buy the phone? I got more than 400 of each but unable to get the 4th part. Any help in big chase ARnab Kumar Mondal? Bro, You can Buy it without script bu just have to click on Buy button fast as possible.